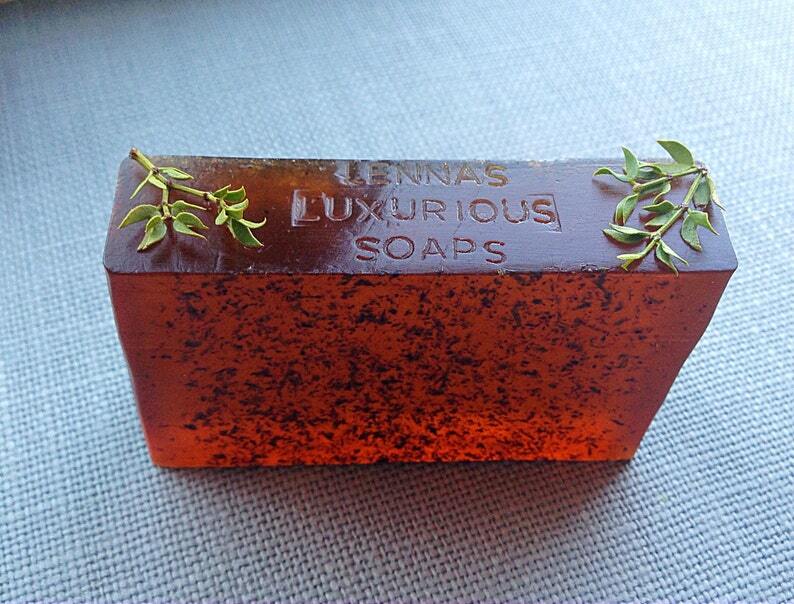 Creosote Plant Soap, Creosote Soap. That smoky, yet crisp smell of the desert after a good monsoon rain. Our Arizona Creosote soap is made with the purest vegetable glycerin soap and is blended with wonderful creosote leaf and natural oils. 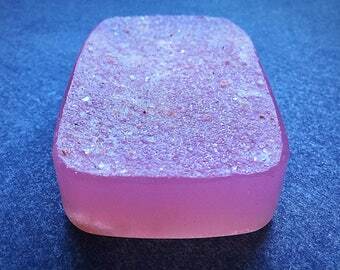 The perfect skin healing soap. 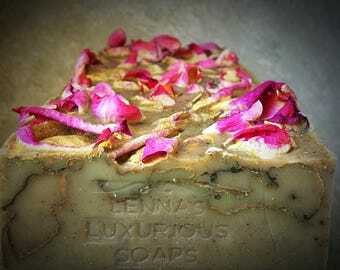 Each vegan soap bar is also perfect for that inner hippie or for a very cool friend. 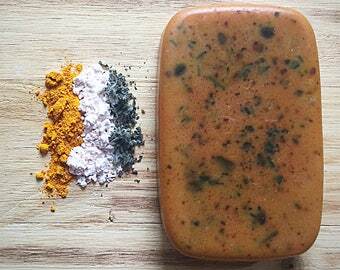 And this natural soap blend will have you doing your very own rain dance in the shower. 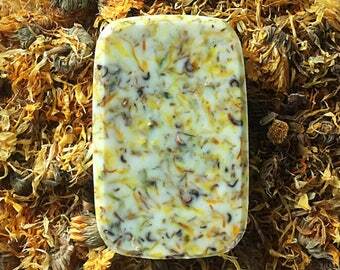 Each 4 ounce hippie soap comes nicely packaged when it arrives and is perfect as ready-made gift. Rectangle, Rounded rectangle, Oval rectangle and Arizona shaped bars measure roughly: 3.75L x 2.5W x .75/1"H.
Note: This product will go from a dark orange to a dark brown color as the creosote leaves release more and more natural oils. See pictures above. 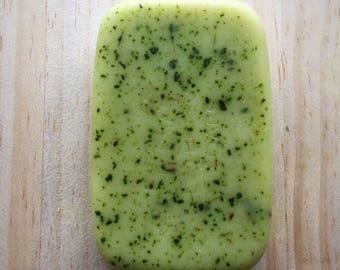 Great for bug bites, soreness, aches and shaving. Works as an astringent and antiseptic. Great product. Definitely order again! !